The monthly Welsh language religious periodical of the Union of Congregationalist chapels of the Rhondda Valley. The periodical's main contents were religious articles. The periodical was edited by the Congregational minister, author and popular preacher, Ben Davies (1840-1930) and the Congregational minister David Evans (1842-1914). 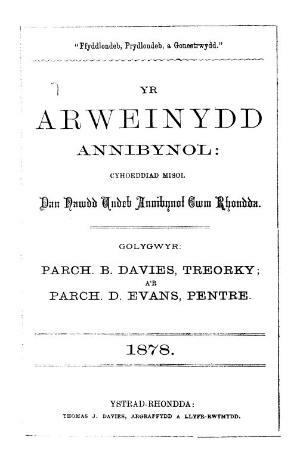 Associated titles: Yr Arweinydd (1879).